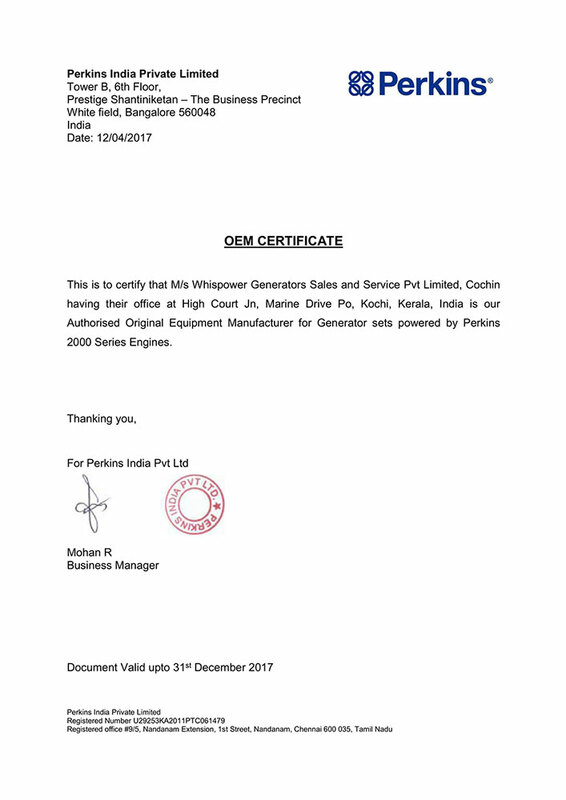 Born from a need to address creeping demand for power, towards the latter half of the previous century, Whispower Generators was formally registered in 1990. 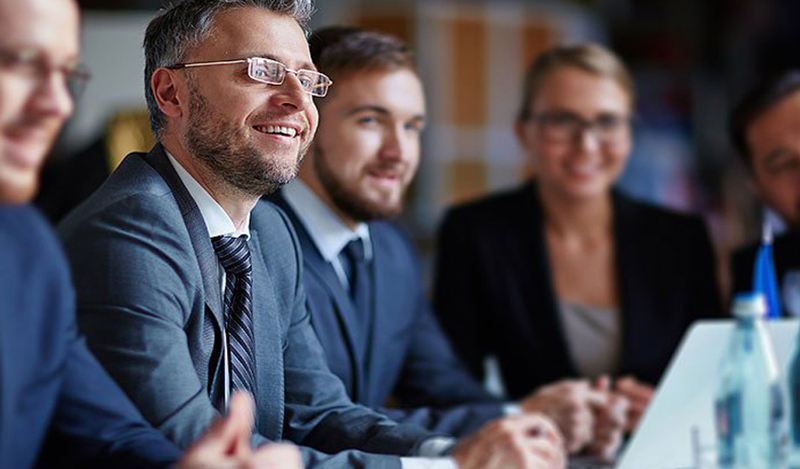 Moderately equipped, to accept small to medium projects in its initial stages, the founders and core members were a dynamic team, that recognized opportunity and turned it to advantage. Capital was poured in, professionals engaged, plant and machinery installed, partnerships forged and Whispower came into its own. The Company presently operates with its centres in Kochi & Bangalore. 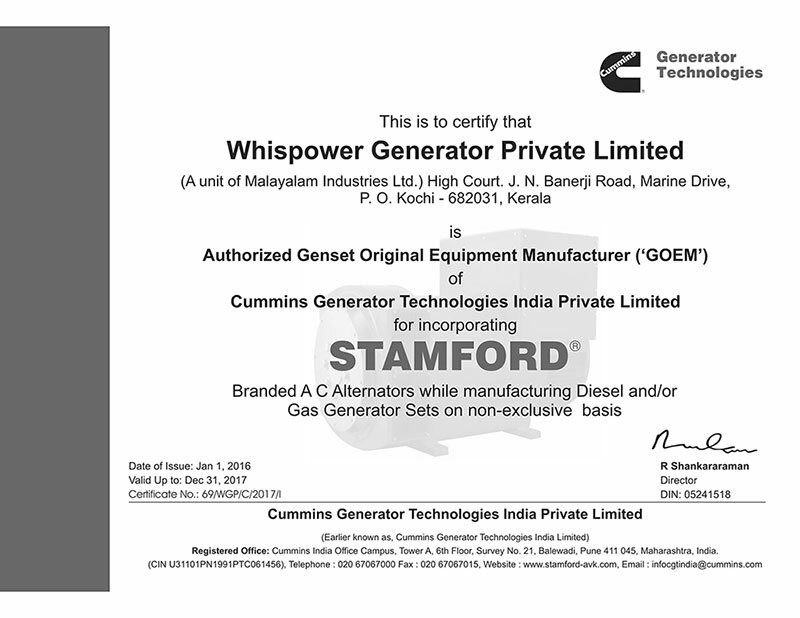 Whispower is gradually growing into its role as a frontrunner for Power Gensets in India. 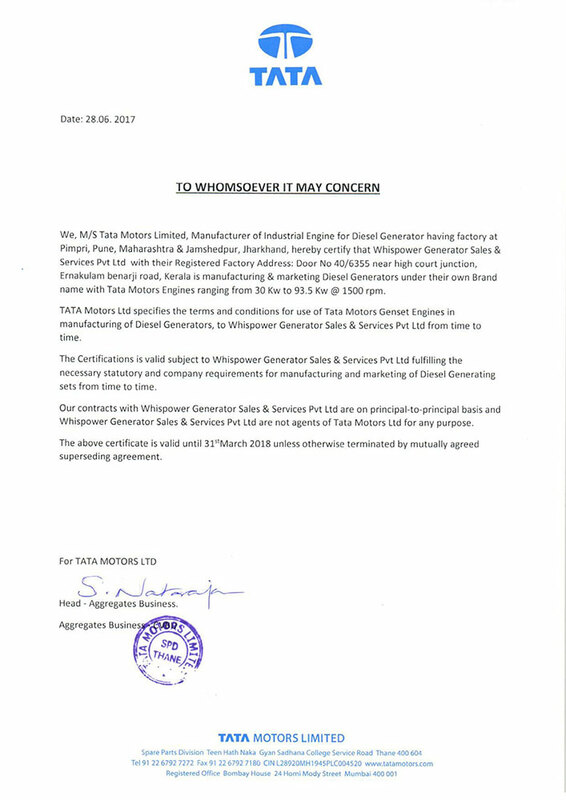 This growing reputation follows naturally from the supreme quality of the product output as also from the reputation of the Engine/Alternator Partners it has chosen to bond with. Enhance customer experience through cutting edge technology, process & product. 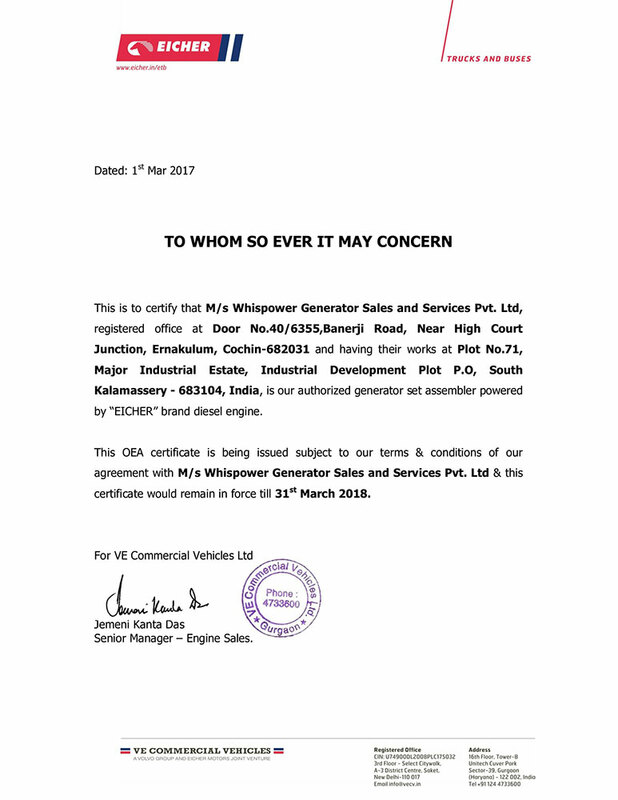 We thrive to achieve the highest standard of quality in aftersales service and to the engineered product manufactured at Whispower. 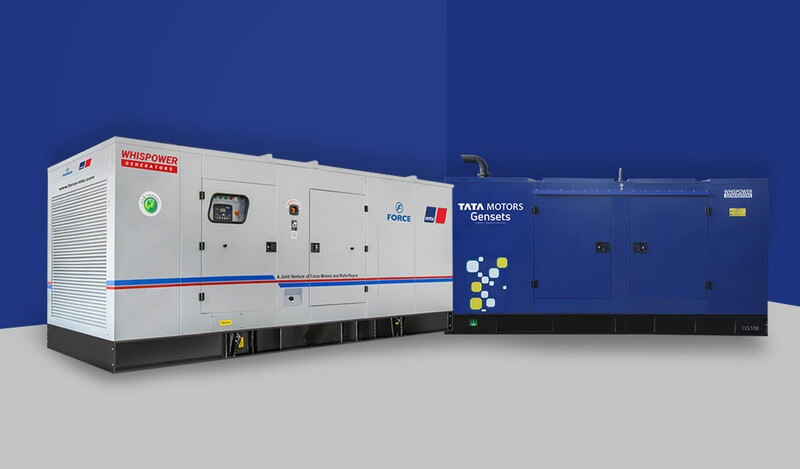 Our fully trained and equipped network of service dealers is always available Pan India to provide prompt and efficient before after sales service. We make it simple for consumers and we assure quick response on services.